Pulmonaria There is 1 product. 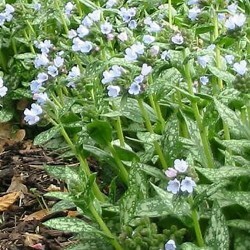 Superb groundcover evergreen, stained money, séclairant many small pale blue flowers in early spring. Massif shaded, woodland, ditches.